The Understanding and Celebrating Our Roots project will investigate the relationship between Britain and Somaliland during the period of colonisation and the impact the British had during this period. It will help to capture stories about what acquired during this period and will be preserved through oral traditions. It will also explore the heritage between the two countries, research this heritage, and then capture this information, which would be widely publicized and enable cross culture learning and understanding to prevail. The project would essential help bring the two different communities together through heritage understanding and enable a sense of pride to be created by those involved and the Somali Community living in the UK. The need for this project has really come from members of the community and the public wanting more information on the Somali community and more inter-generational stories. 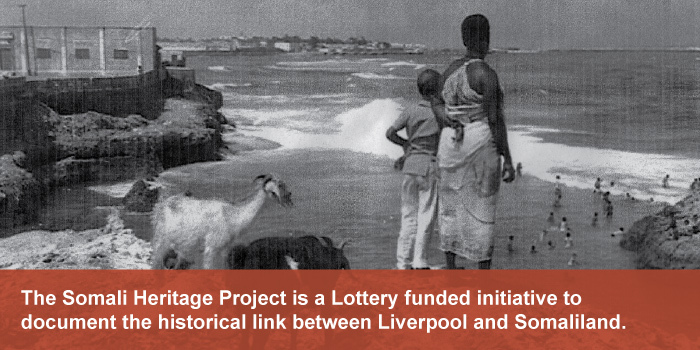 As an organisation that caters for all ages we are proud to be working with the Heritage Lottery Fund and feel that this project will enable the elder and younger generations to come together and tell the story of an forgotten history.